I use OmniFocus for personal task-tracking and Zapier to automate work when possible. 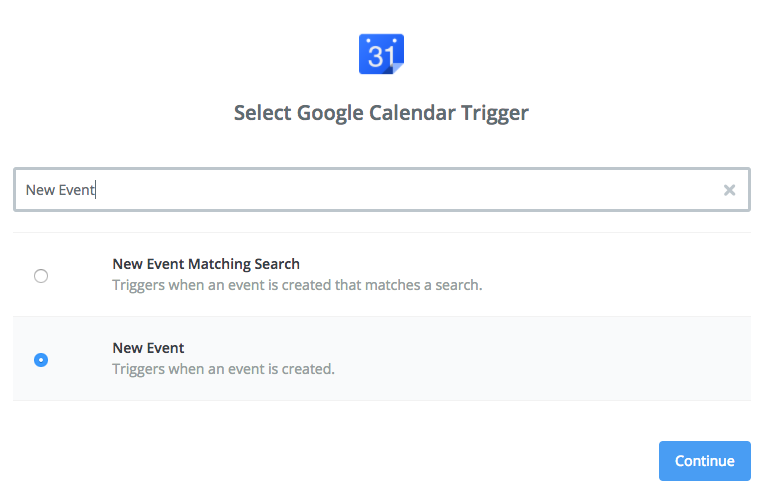 One way I use these two tools in combination is to automatically create tasks when a new event is created on my work calendars. Meeting Prep: Call with Robert Smith, with a due date the day before the meeting is schedule. Call with Robert Smith, with a due date the date the meeting is scheduled. The reasons I create two tasks in OmniFocus is because I use a few applescripts to generate daily and weekly task reports and forecasts and I like to have a record of my meetings as well as the prep work I do for them in those reports. Optional tools include Hazel or Lingon to automate the running of the ParseInbox applescript. Before I continue, thank you to Joe Buhling for sharing his collection of OmniFocus scripts! That’s it for this step. Don’t forget to test the step before moving on to be sure you can retrieve an event. In this step, we’ll take the start date of the meeting and subtract one day to get the due date for our Meeting Prep task. This step is similar to Step 2 except that we aren’t going to modify the date, just format it so it works with the script we’ll use to parse our OmniFocus Inbox. In this step we’ll create the first of our two tasks, this one for Meeting Prep. Select OmniFocus app for Step 4. 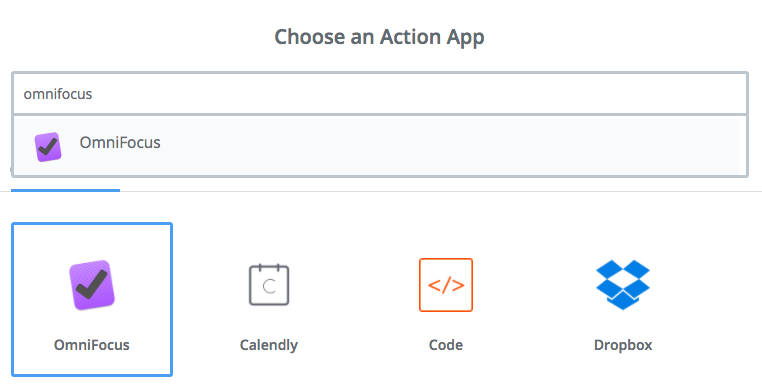 Select create task action for OmniFocus app. Next you’ll need to connect your OmniFocus account if you haven’t already and select which connection you’d like to use. The -- sets the name of the task. The @ sets the context. The:: sets the the name of the project. The# sets the due date. The// sets the text of the note. The name of the project is fuzzy matched against flatted name of folders and projects, so you don’t need to use a colon between folder and project name. With the applescript I’m using to parse OmniFocus’ Inbox, I had trouble with dates including time, so this is why I simplify the due date format in Step 2 and 3 of the Zap. For details on the syntax used for parsing the inbox, see this post. In this step we’ll create the second of our two tasks, this one for the meeting itself. 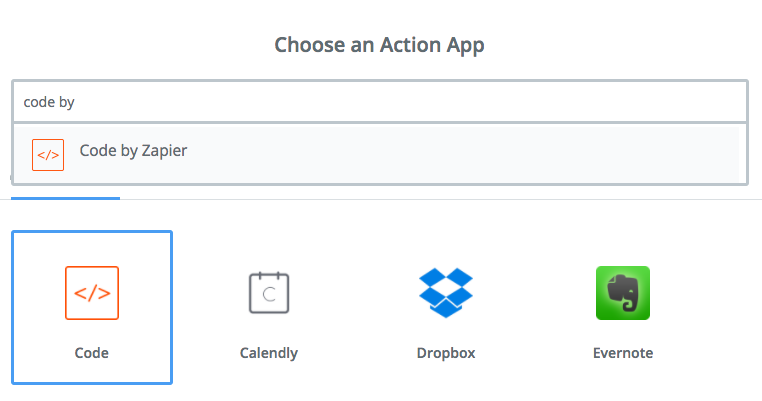 As in Step 4, select the OmniFocus app and Create Task action. For this part, if you haven’t already, you’ll want to grab a copy of the AutoParser scripts from either the original author or myself. There are two main options for running the script manually. 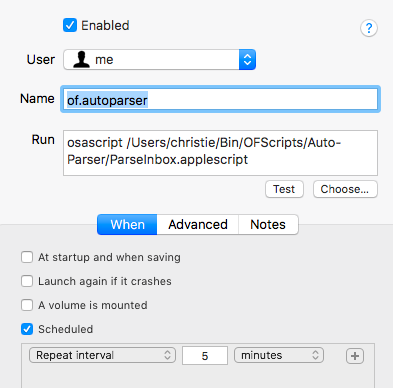 Option 2: If you don’t want to use the command line to run scripts, you can copy the ParseInbox.applescript into OmniFocus’ scripts folder. To find out where this is, go to Help > Open Scripts Folder in OmniFocus and it will open a new finder window at that location. Once you do this, you’ll see Script: ParseInbox as an option in the View > Customize Toolbar… window. Drag this icon to your toolbar for ease of use. Task in OmniFocus after it has been parsed from Inbox. If at this point you realize that your Zap isn’t quite configured correctly or exactly how you want it, you can go back and adjust it. And, if you get tired of waiting for OmniFocus to sync with the server to retrieve the new task, just remember you can copy and paste the test output from Step 4 of your Zap. This step is totally optional and you can skip it if you’re happy manually running the script when you want to parse Inbox items. 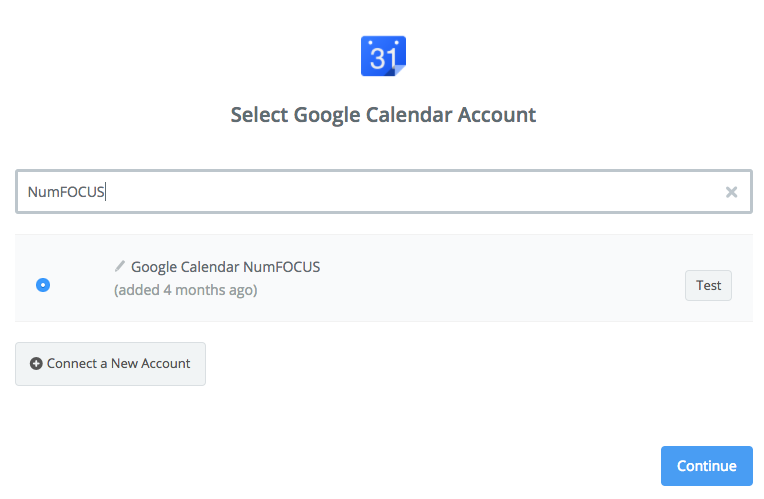 However, if you don’t want to have to remember to do this, or if you want OmniFocus to be able to process Inbox items while you’re out and about, then you’ll want to automate it. There are a few options for doing this. They all require your computer be on, but OmniFocus doesn’t have to be open (the script will open it if closed). Option 1 is to use Hazel to run the script when your OmniFocus has been updated. Joe explains how to configure this option on his blog here. I had mixed results with this method. The script seemed to run sometime and not others. YMMV. Option 2 is to schedule the script using launchd (macOS’s version of cron). This involves editing plist files, which I hate doing, so I bought Lingon X to make this easy. 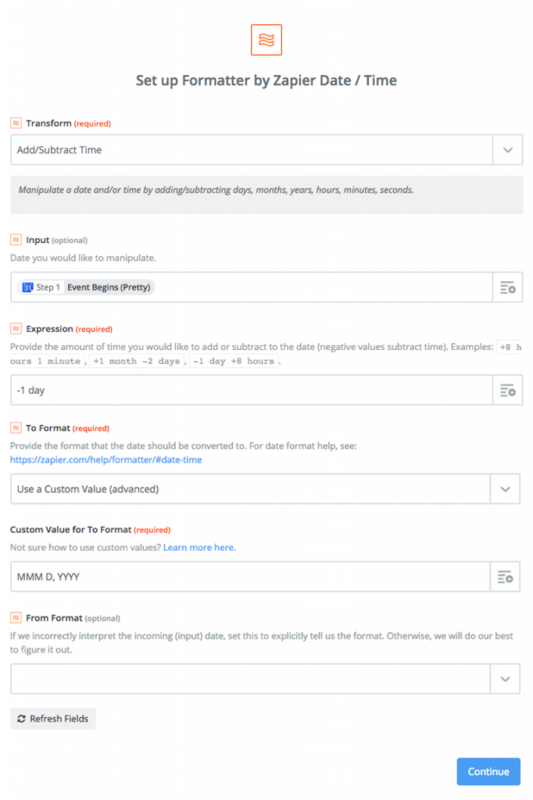 Lingon settings for scheduling ParseInbox script. I use OmniFocus for personal task-tracking and Zapier to automate work when possible. I also coordinate open source work on GitHub. Recently I was wondering if there was a way to make OmniFocus automatically import any GitHub issue assigned to me. It turns out there is! If you haven’t already, enable OmniSync and create a Mail Drop email address. You’ll also need a GitHub account and there should be a newly created issue assigned to you. 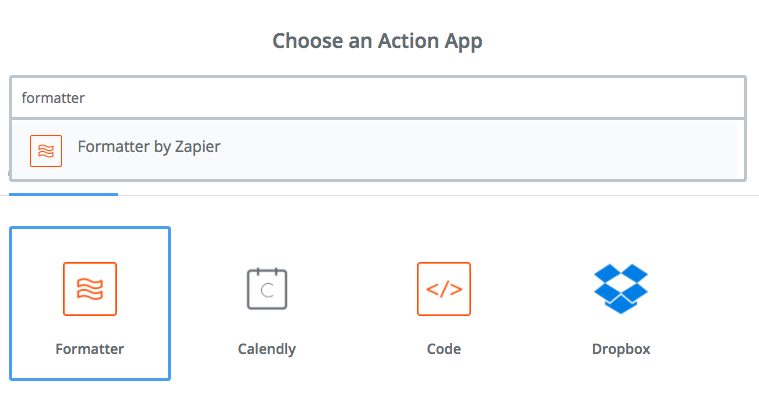 To get started, while logged into Zapier, click MAKE A ZAP! button. Select “GitHub” as trigger app. Select “new issue” as GitHub trigger. 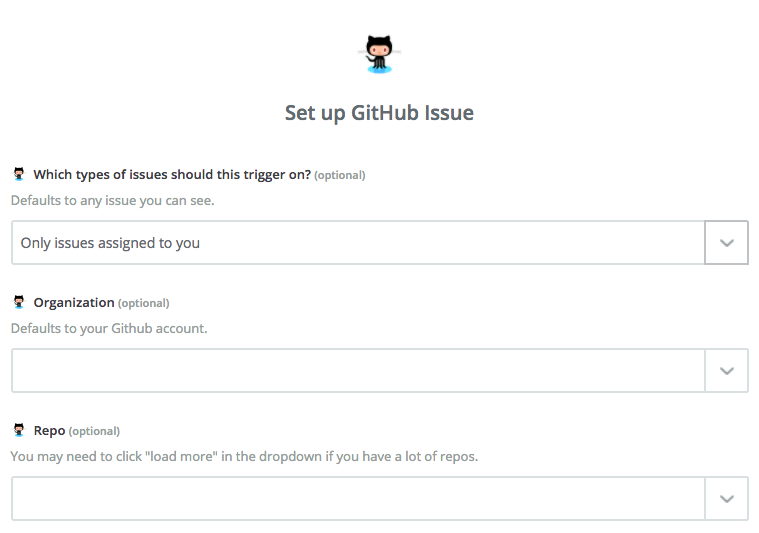 Set up GitHub issue trigger according to your preferences. 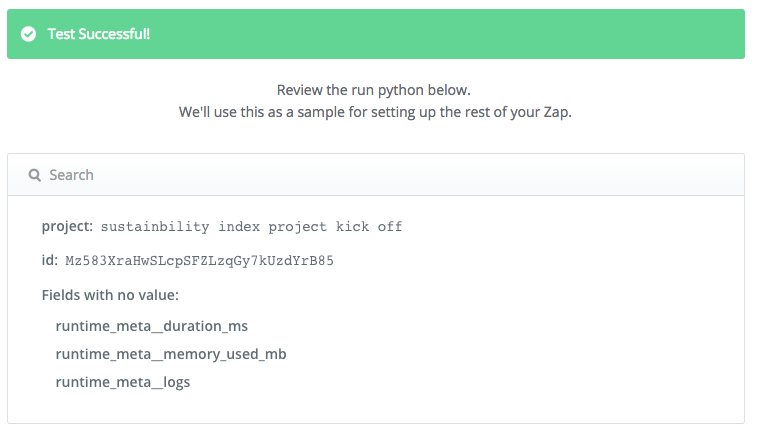 In my Zap, I’ve selected Only issues assigned to you and for the time being, I’ve limited it to a single GitHub organization. What you select is up to you. 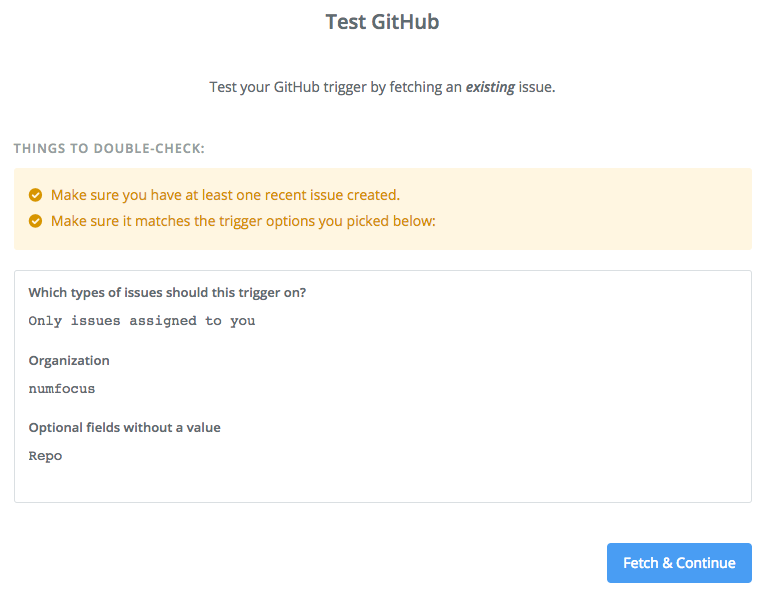 Test your GitHub new issue trigger. Once everything looks good, save the step. 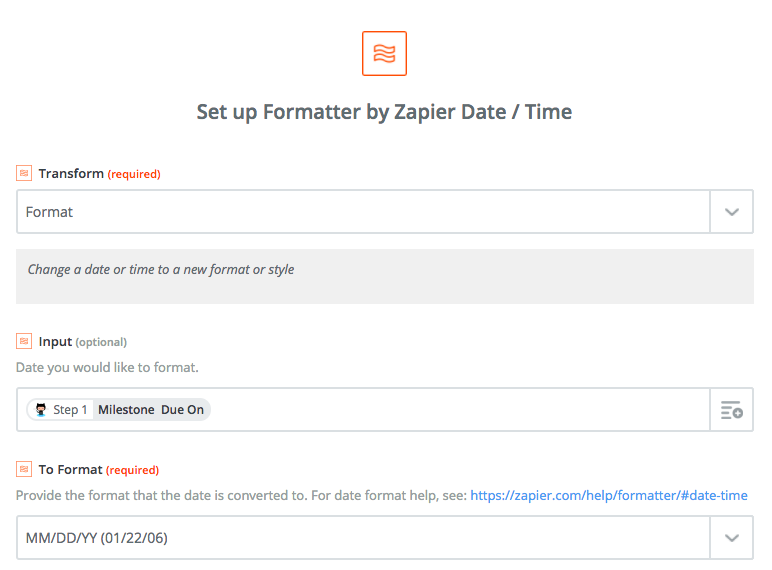 Next, you’ll create a formatter step to format any dates attached to GitHub issues via their assigned milestones. 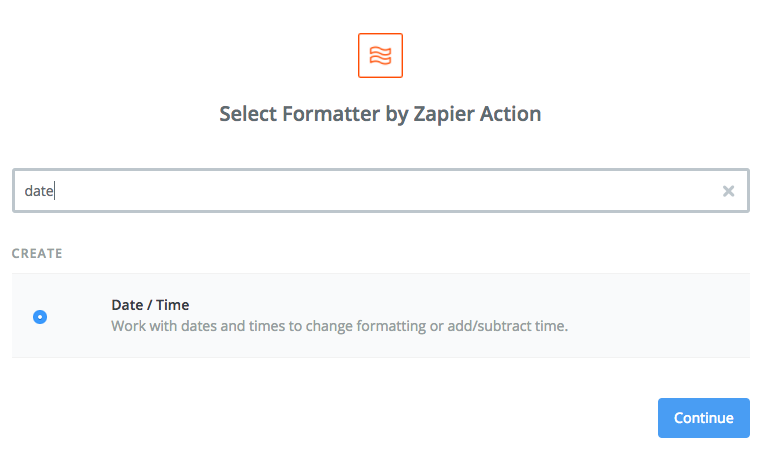 Step 2 app is Formatter by Zapier. Use the date action for app Formatter. Test results for date formatter action. 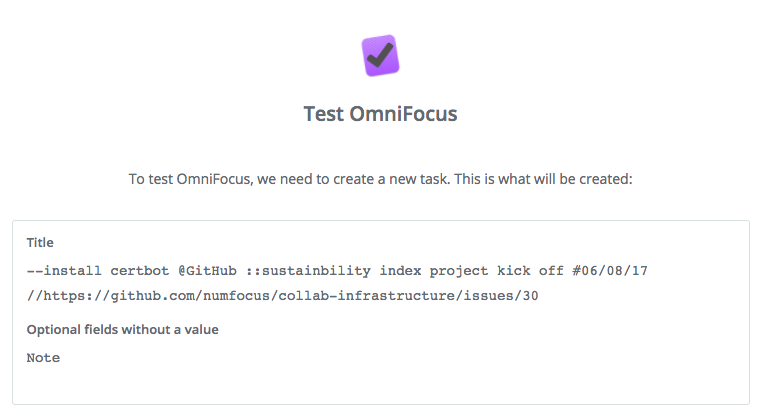 In this step, I’m using Python code to map GitHub repository names to OmniFocus folders and GitHub milestones to OmniFocus projects within those folders. If you have a different organizational scheme, you’ll want to modify the code in this step accordingly. 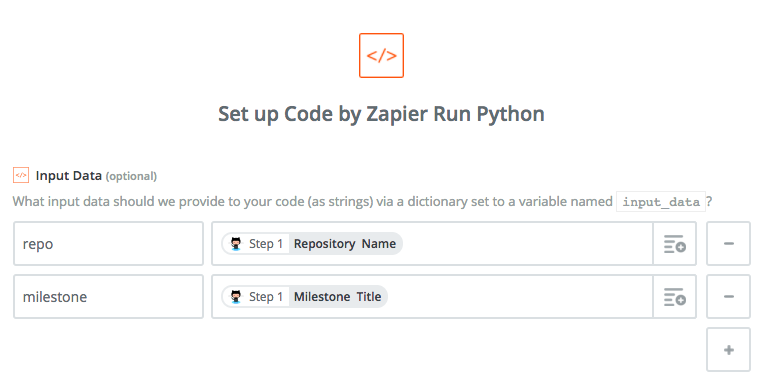 For Step 3, select the Code by Zapier app. 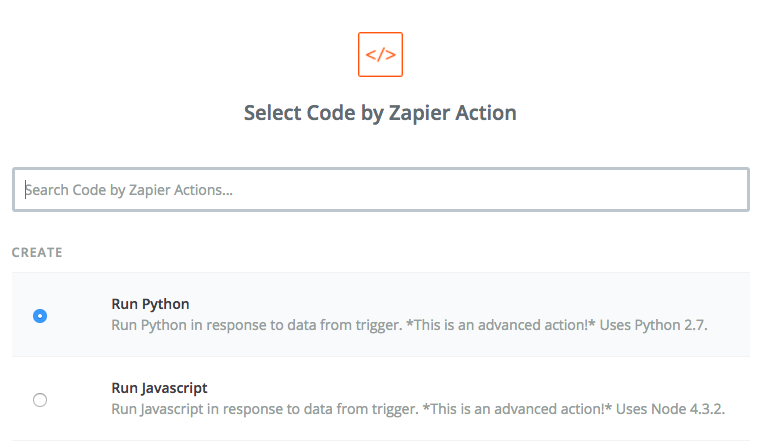 Select Run Python as Code by Zapier action. The names of the fields on the left doesn’t really matter, but it must match the key names we’ll use in our Python code. Configure input data for custom python code. 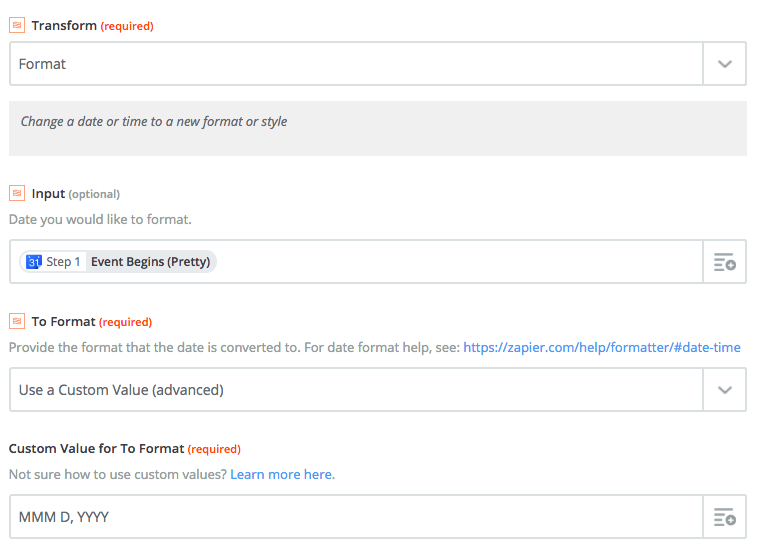 If the issue being processed by Zapier has a milestone, this code sets project to Repository name milestone name, replacing any hyphens with spaces. Otherwise, it sets project to simply Repository name, also replacing any hyphens with spaces. If you structure your projects differently, you’ll need to update the Python code above accordingly. Results of testing custom Python code. When everything looks good, save this step and continue on to creating the 4th and final step. 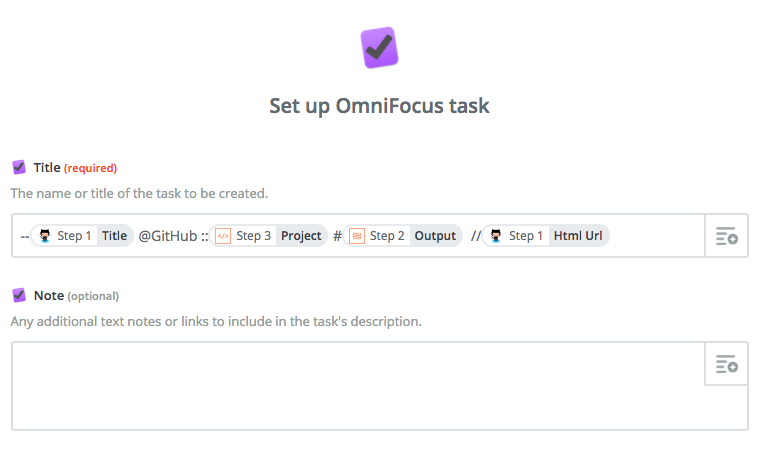 In this last step you’ll configure the OmniFocus app to create an OmniFocus task with information from the retrieved GitHub issue. With the applescript I’m using to parse OmniFocus’ Inbox, I had trouble with dates including time, so this is why I simplify the due date format in Step 2 of the Zap. If you wanted to dynamically set the name of the context based on some attribute of the GitHub issue (e.g. label), you could do that by modifying the Run Python action in Step 3. Configure create task OmniFocus action. 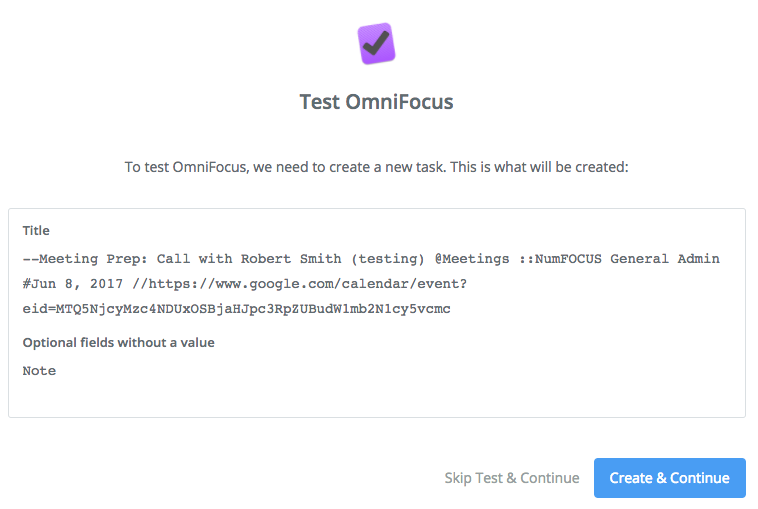 Test create task OmniFocus action. New task in OmniFocus Inbox. Now you’re ready to setup the script to parse that monster-looking task out of your OmniFocus Inbox and into the right spot!